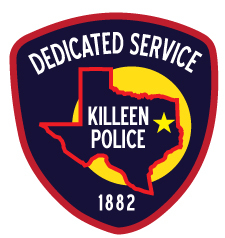 On Sunday, March 5, 2018, at approximately 8:24 p.m., Killeen Police were dispatched to the 1200 block of Cavalry Drive in reference a 911 call about an armed subject. While officers’ were in route, numerous 911 calls were received about several males armed with “laser guns”. Upon their arrival, one male suspect discharged a weapon towards the officers and the officers returned fire. Through the investigation, the male suspect was identified as 44 year-old Kelvin Javar Jones. Jones was located by officers in the back yard of a residence on Loyal Lane shortly after the incident. Once located, he was taken into custody and transported to the Killeen City Jail. On Tuesday, March 6, 2018, this case was reviewed by the Bell County District Attorney’s Office and a complaint was returned charging Jones with Aggravated Assault on a Public Servant. Jones was arraigned by Justice of the Peace Bill Cooke and he set his bond at $500,000. The two additional male suspects were taken into custody for unrelated charges and are not part of this investigation.